Let’s face it: Sometimes the home décor we love isn’t exactly perfect for our lifestyle. Adore white rugs but have a dog that loves to dig? Salivate over stunning vases but your toddler sees them as shiny things to touch and tip? Live for luxe throws but have a husband who spills more Merlot than he drinks? You’re not alone. In fact, many people opt for what they see as durable décor because they are too afraid of spills and accidents that could shatter their otherwise favorite (and often pricey) objects d’art. Luckily, a good interior designer can find ways to marry your somewhat “fragile” or clean, white sense of style with robust options that will keep you admiring your home décor without worrying about that next spill or splatter. That’s why it’s crucial to spend time with your designer and chat about your lifestyle. After these important conversations are had, she’ll have a good idea of what the end result will be based on your taste and preferences — and your goals and objectives. Your designer is an expert for a reason. She’ll present you with choices of appropriate fabrics, wood tones and other decorating components that match your style, your budget and, most importantly, your lifestyle. She understands that different types of fabric and textures will have specific purposes within your home, and can ensure that the use of those fabrications in your décor is appropriate to your lifestyle and that of your whole family (even the four-pawed members). After all, you don’t want to have to be careful in order to enjoy nice things — so why not find fabulous alternatives to ensure that you and your family can enjoy the best of both worlds? At the end of the day, you want your home to be a reflection of you and your family’s style, as well as a place where you feel comfortable and stress-free. That’s why choosing a qualified interior designer is a “must” to ensure your home décor is uniquely you, down to the best fabrics, colors and textures for your life. 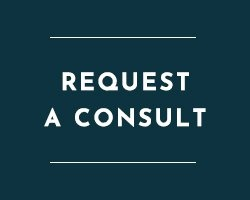 Contact me today to set up your own consultation for the stylish (and surprisingly durable!) home of your dreams.